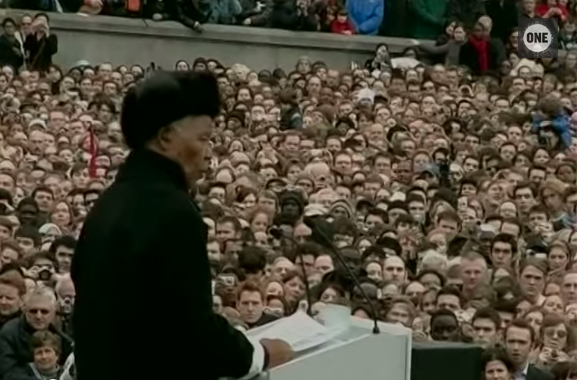 10 years ago today, Nelson Mandela gave this inspirational speech to 20,000 people gathered in London’s Trafalgar Square. It became a rallying cry for many of us on the journey to end extreme poverty. Nelson Mandela’s determination to see every South African treated equally, regardless of race, was echoed by a broader belief that extreme poverty is a global injustice no-one should have to endure. I’m not sure there is a better way to sum up the reason why more than 6 million ONE members campaign relentlessly for an end to extreme poverty. If you’re inspired by this video, please share it and encourage others to ‘be that great generation‘.